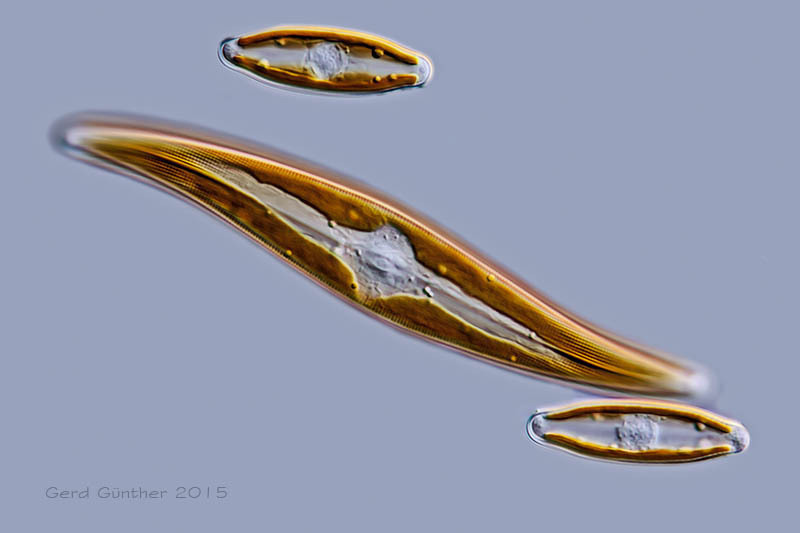 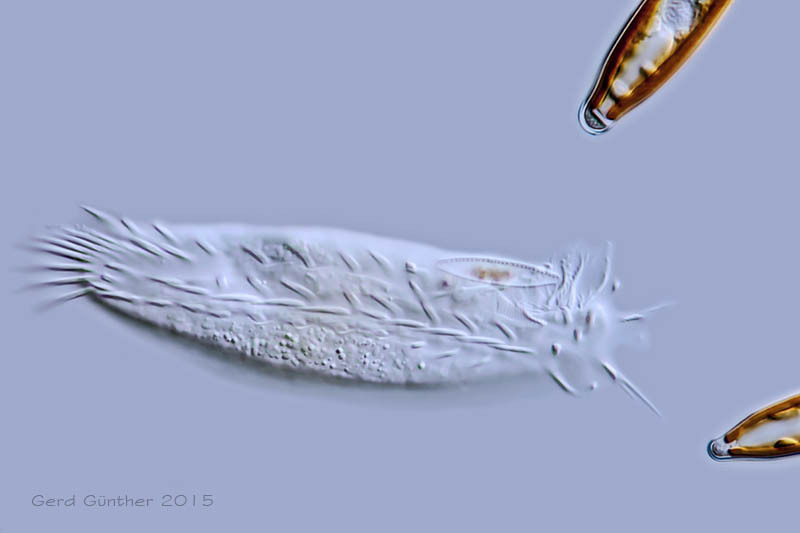 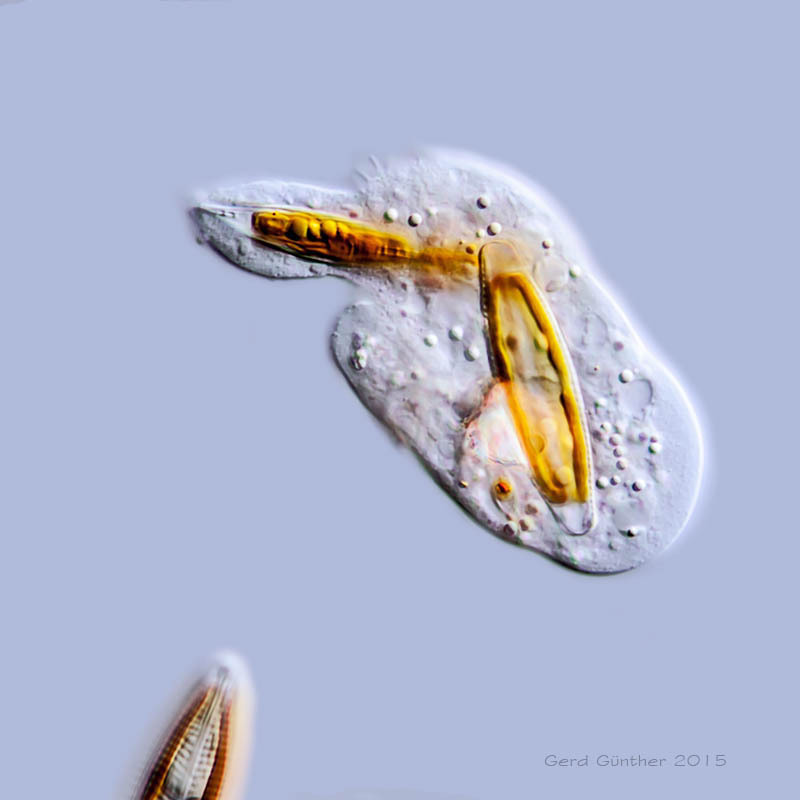 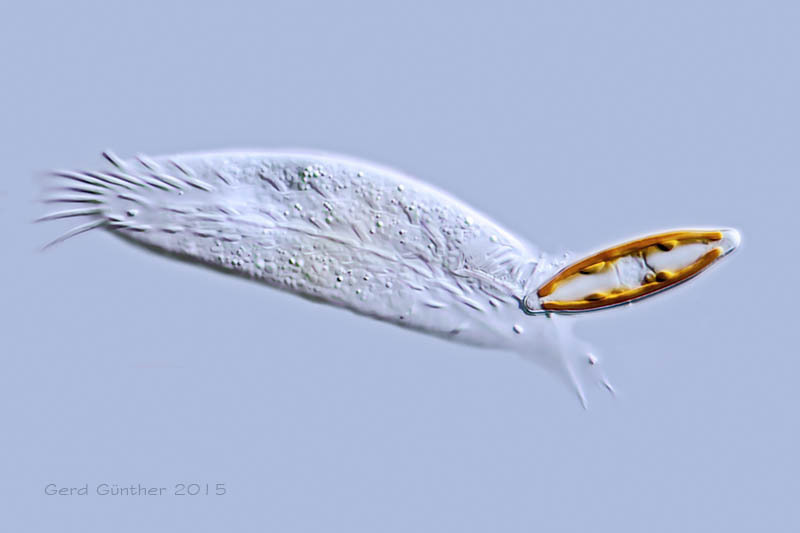 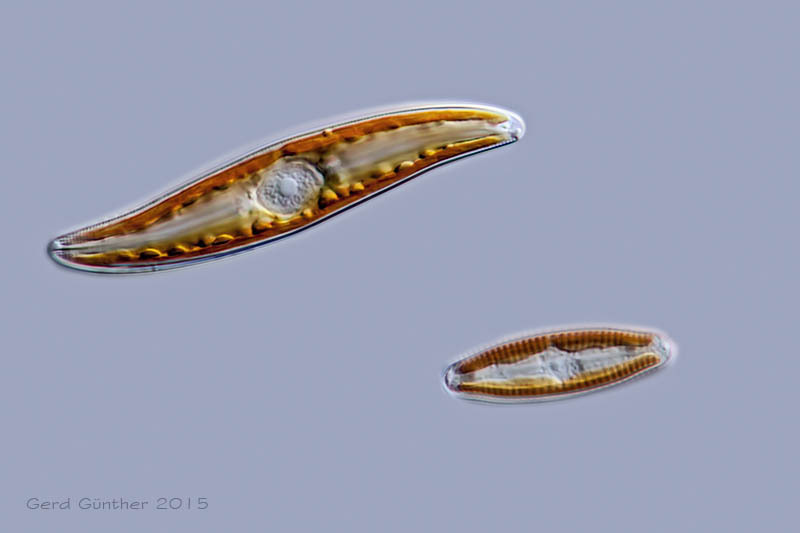 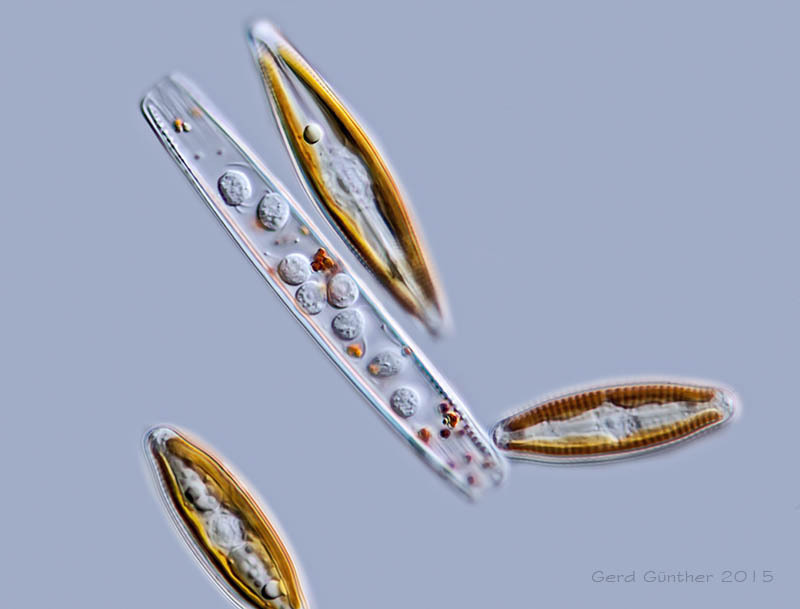 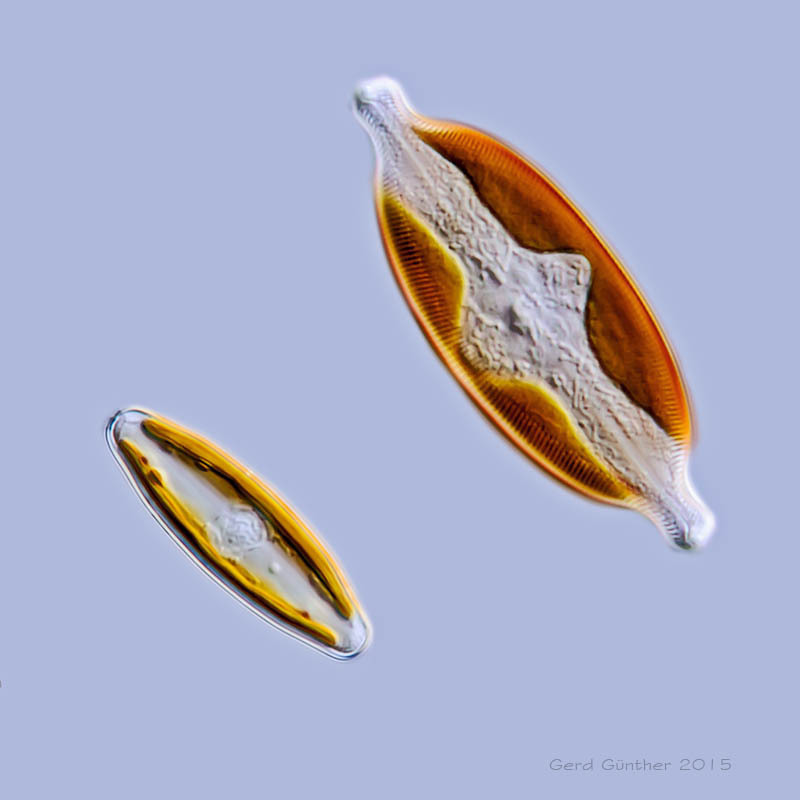 An algal bloom of diatoms is easily recognizable by the brownish colour on the bottom of e.g. 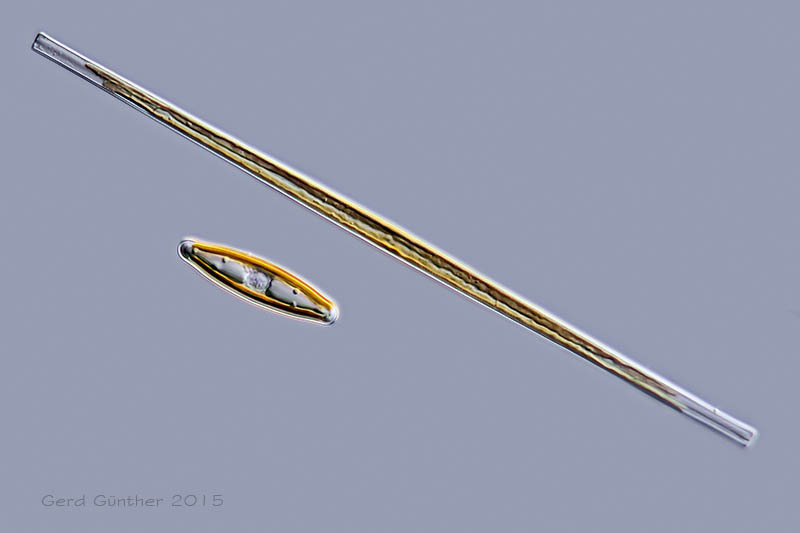 brooks in early spring. 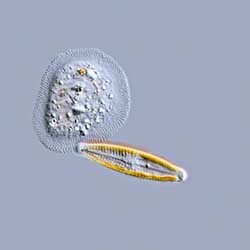 Along the shore of a brook huge masses of pennate diatoms were found, mostly genera like Navicula and Gyrosigma. 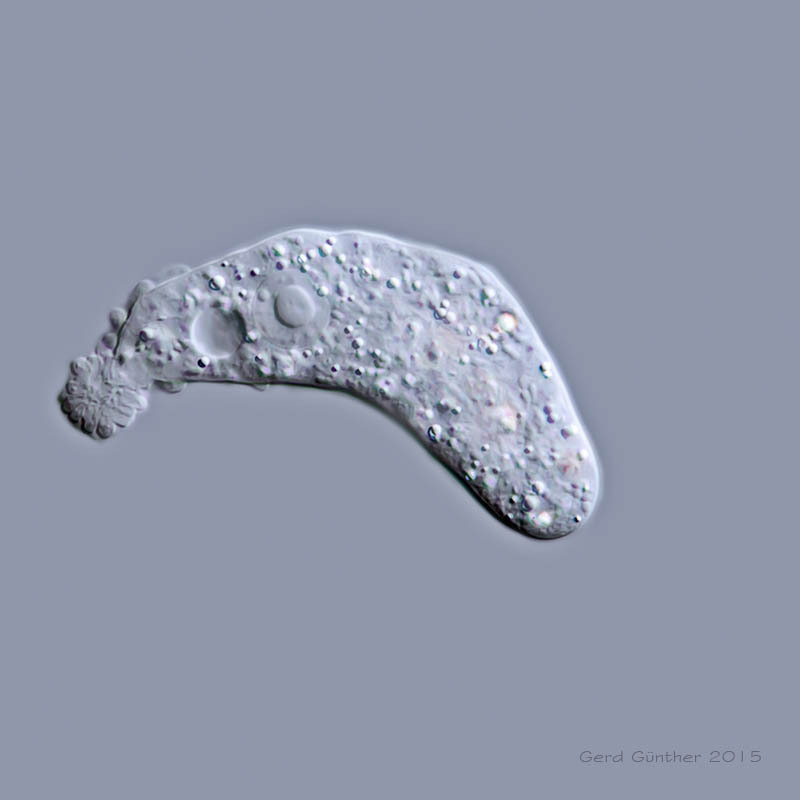 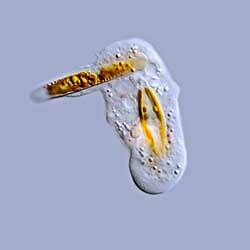 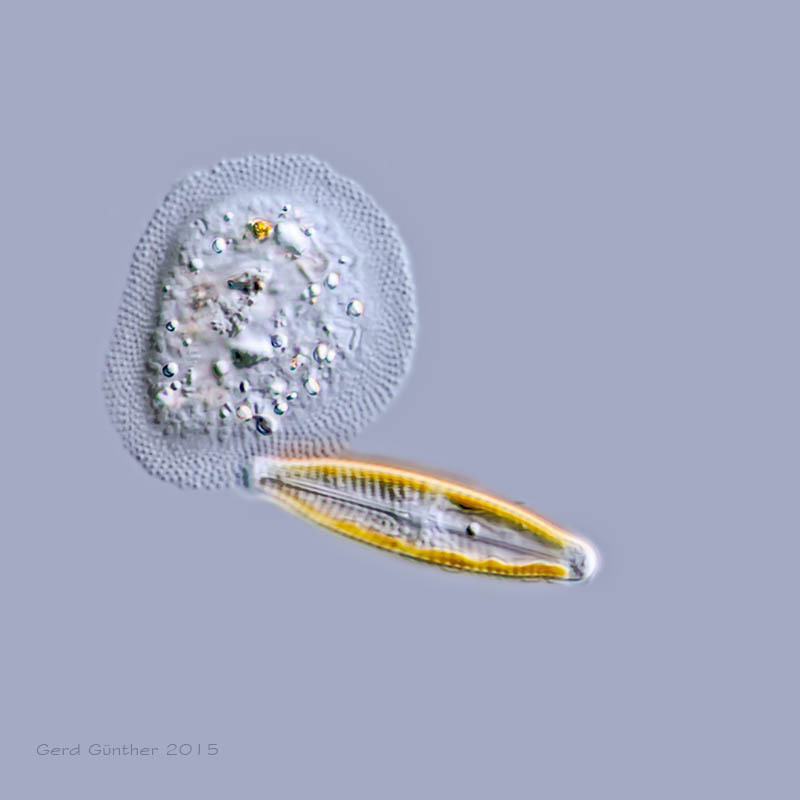 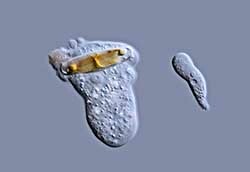 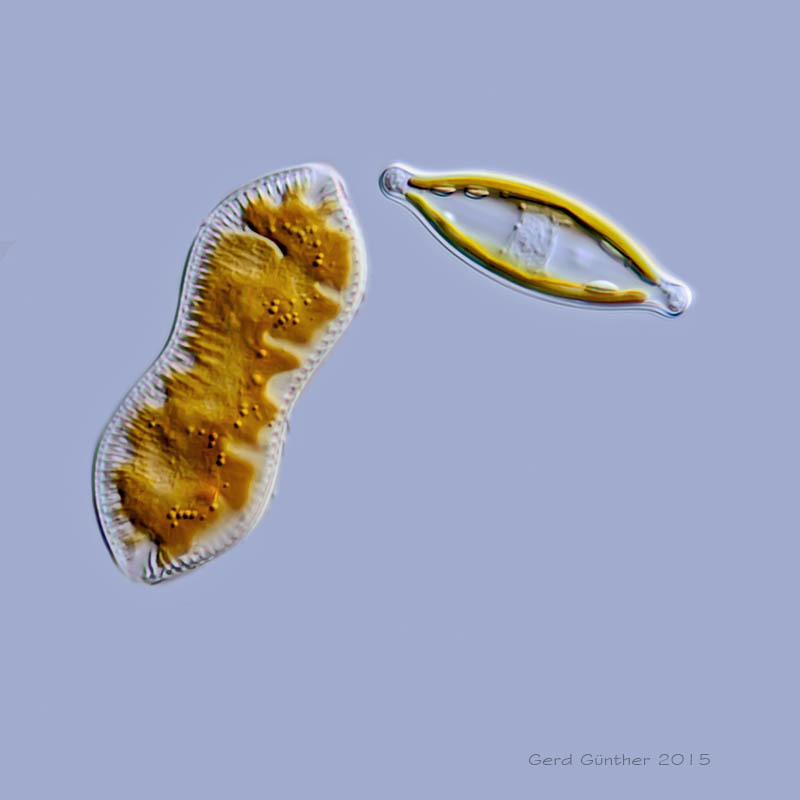 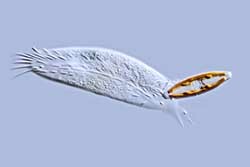 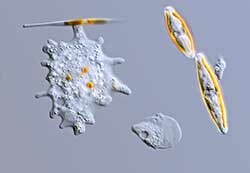 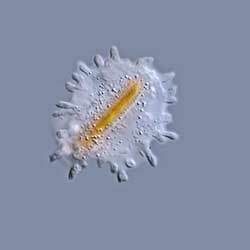 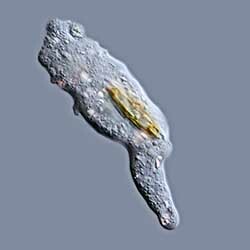 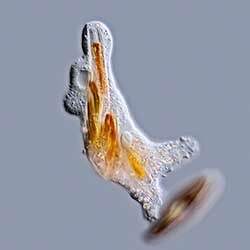 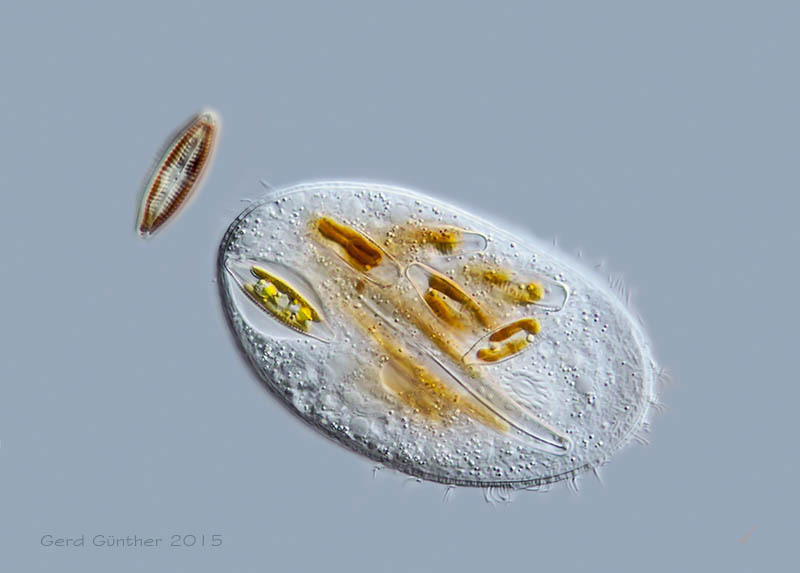 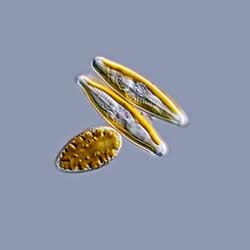 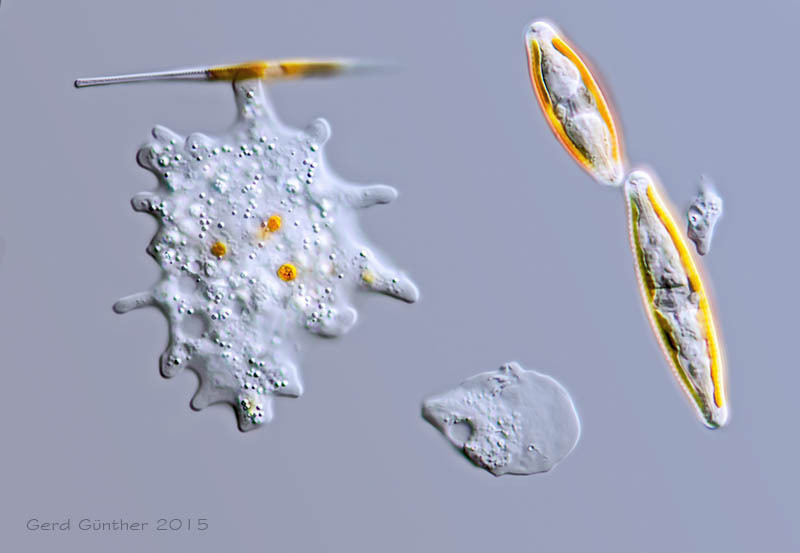 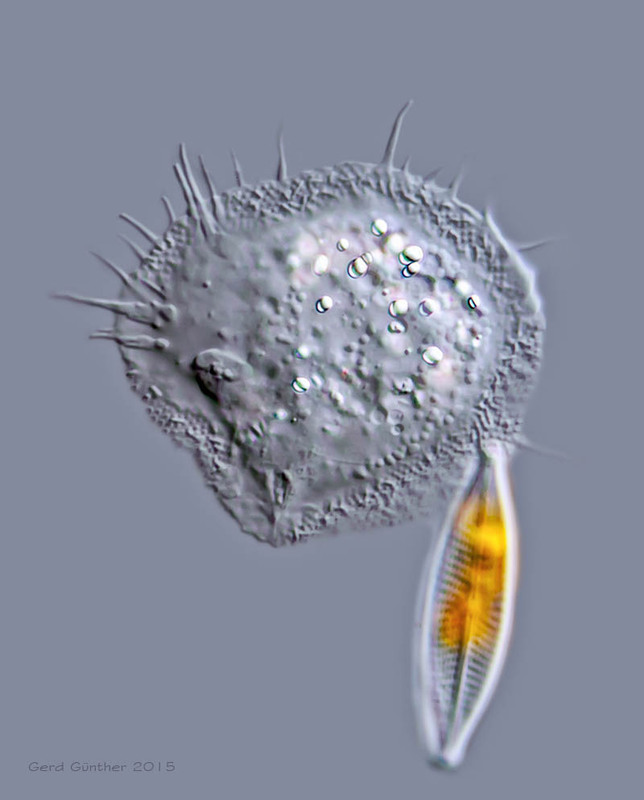 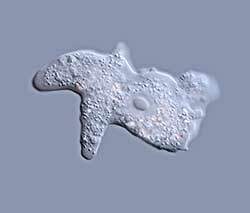 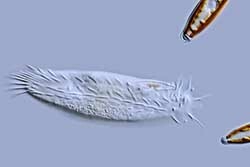 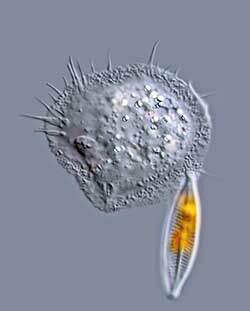 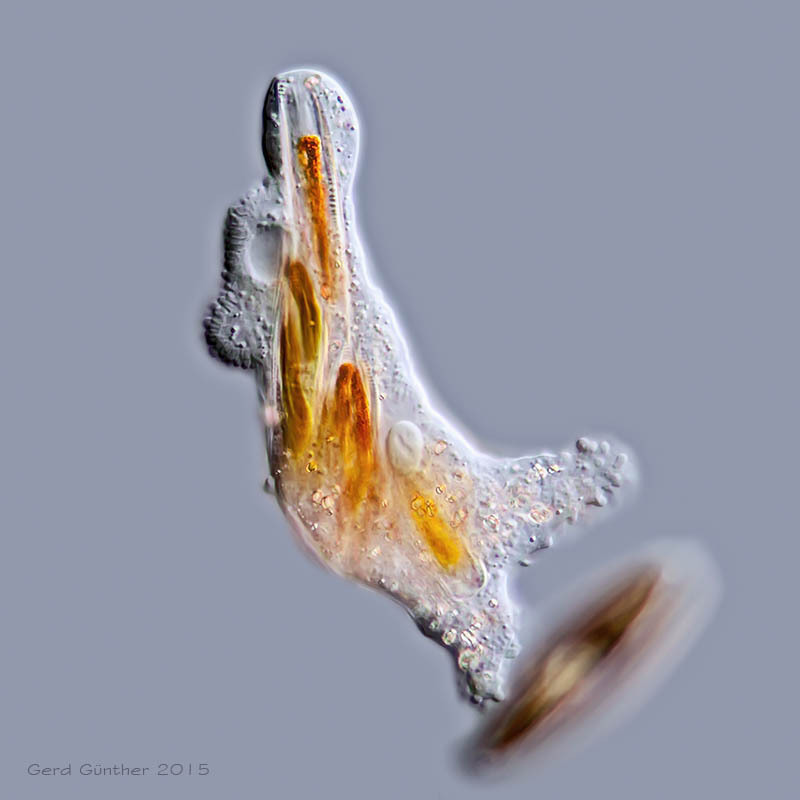 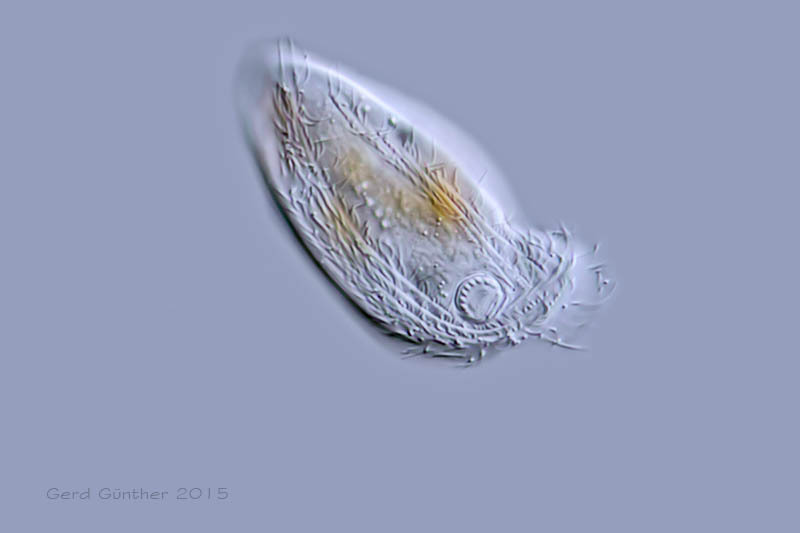 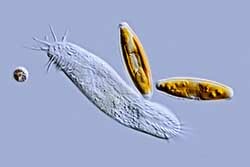 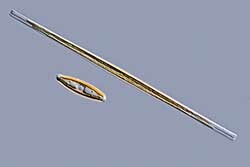 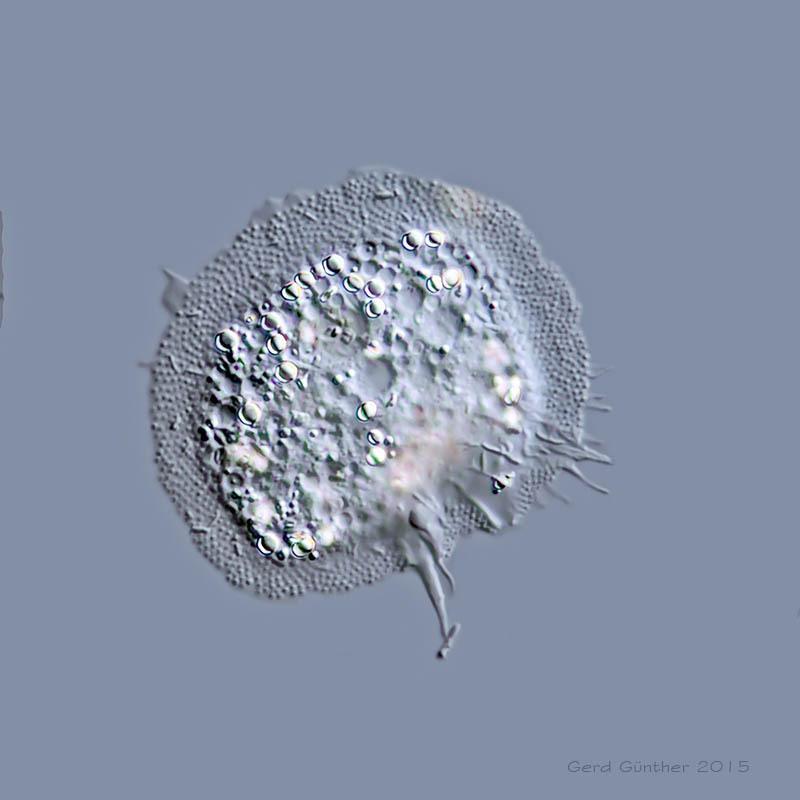 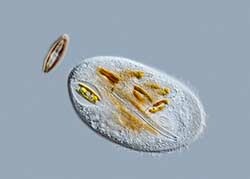 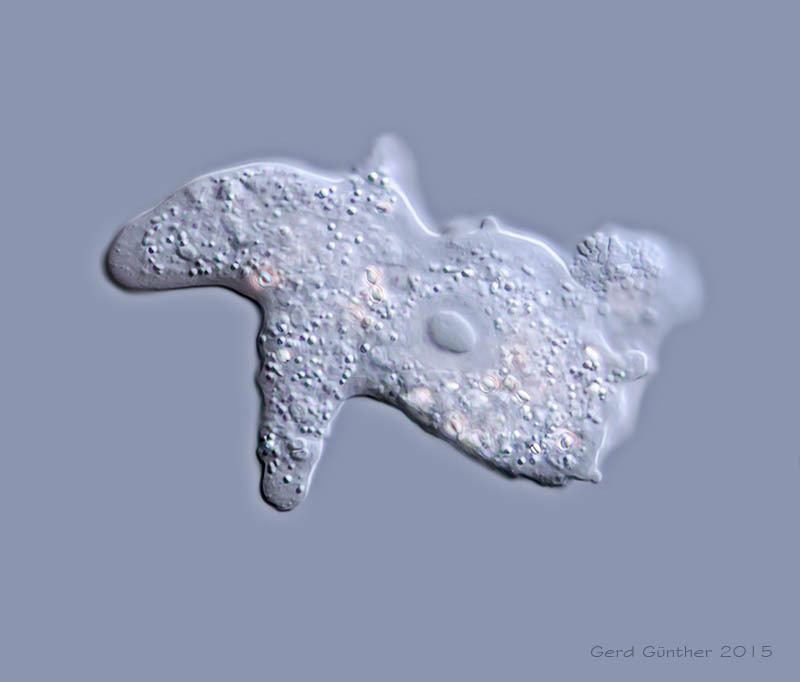 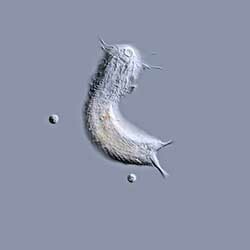 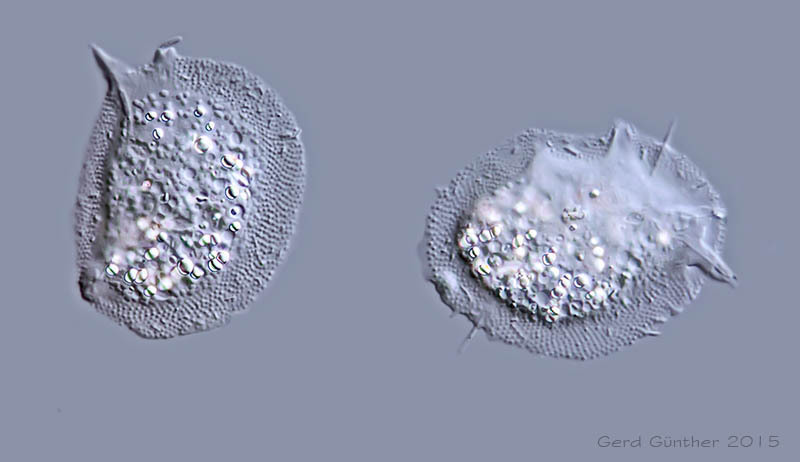 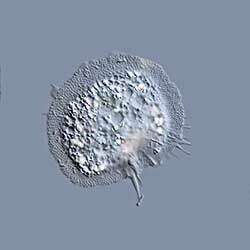 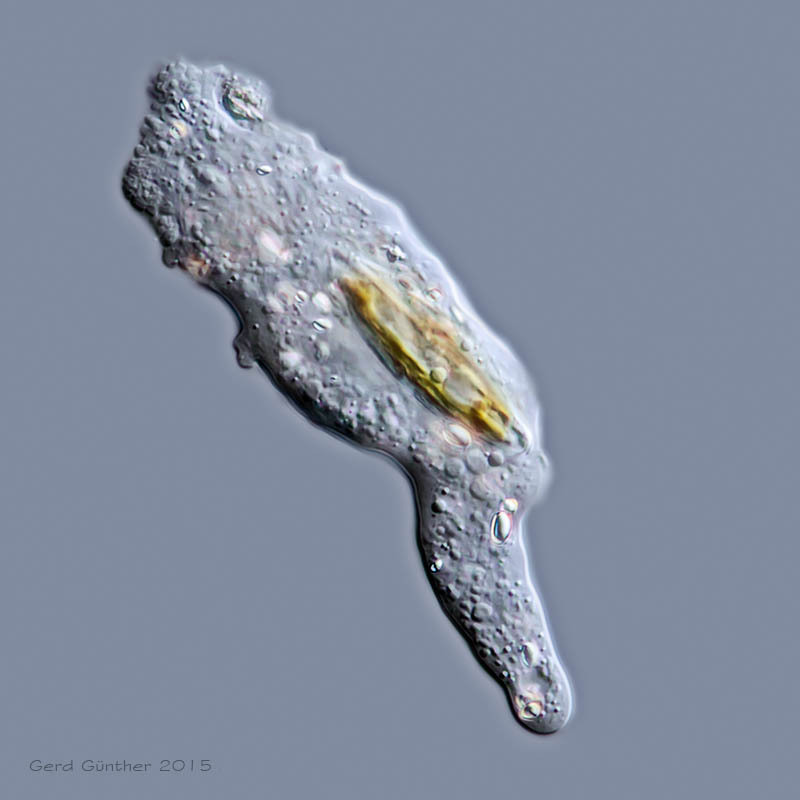 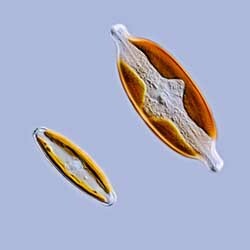 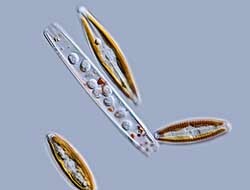 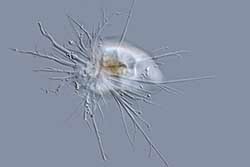 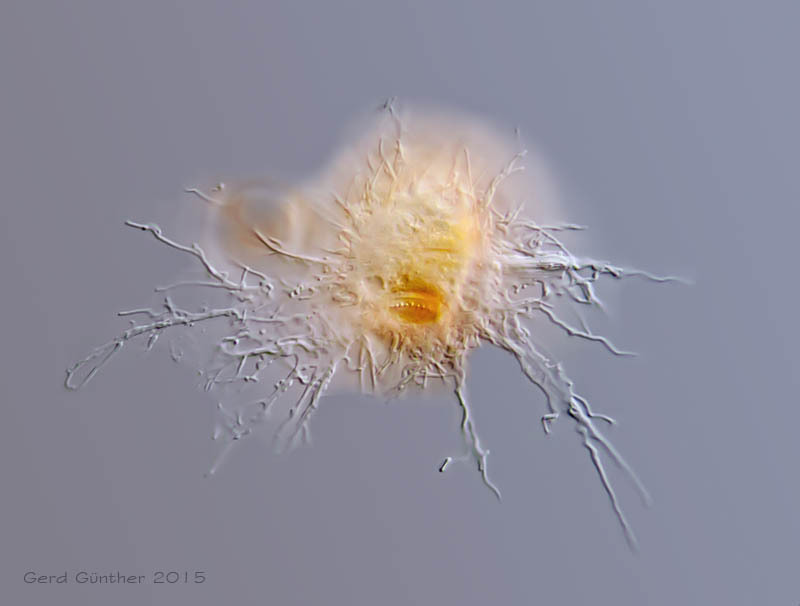 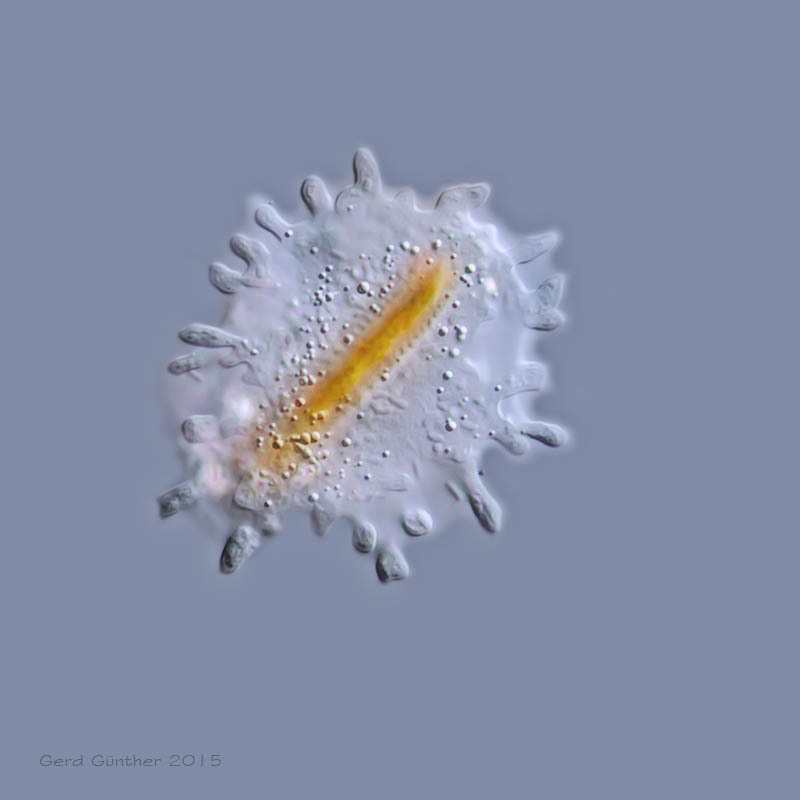 Beside those primary producers many other unicellular organisms were found, feeding on diatoms. 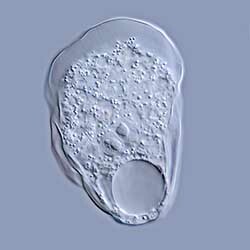 In particular ciliates with specialized oral baskets and amoeba were found.